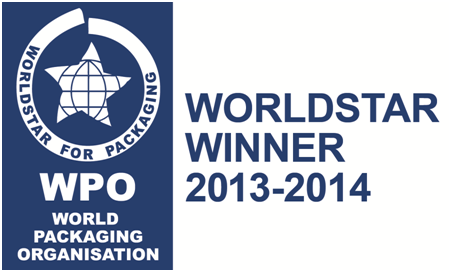 KYOCERA Document Solutions Inc. announced that it has won a WorldStar Packaging Award in a contest hosted by the World Packaging Organisation (WPO) for its “Development of High-Performance Molded Pulp Packaging Materials.” The company has won awards in the contest for six consecutive years with a total of eight awards. WorldStars hold great prestige internationally and awards are presented only to those companies who have already won recognition in a national or regional competition — KYOCERA Document Solutions’ entry having first won the Logistics Award in the Japan Packaging Contest 2013. KYOCERA Document Solutions succeeded in improving the strength of packaging materials for printers substantially by developing a pulp mold consisting of a number of ribbed protrusions having varied shapes and sizes. This compact and high-performance packaging material allows the buffer distance to be reduced by up to 50% compared to conventional packaging. In addition, total box volume and weight of the package have been reduced by about 30% compared to conventional materials, and CO2 emissions per unit have been reduced by 32% based on the EcoLeaf environmental label calculation. The company uses recyclable, environmentally friendly materials such as papers and pulp, not petroleum-based polystyrene foam, for its product packaging from small-sized printers all the way to large multifunctional products with weights in the few-hundred-kilogram range. The company also develops and designs all of the packages for its products and invests great effort in reducing the amount of raw materials used in packaging. The company’s technological capability for developing efficient packaging has won high acclaim both in Japan and abroad.